In life, there are a few certainties: death, taxes, and Facebook. This month, we’ve seen the competition continue to heat up between Facebook, Instagram, and Snapchat over how to create the most engaging and marketable disappearing message. 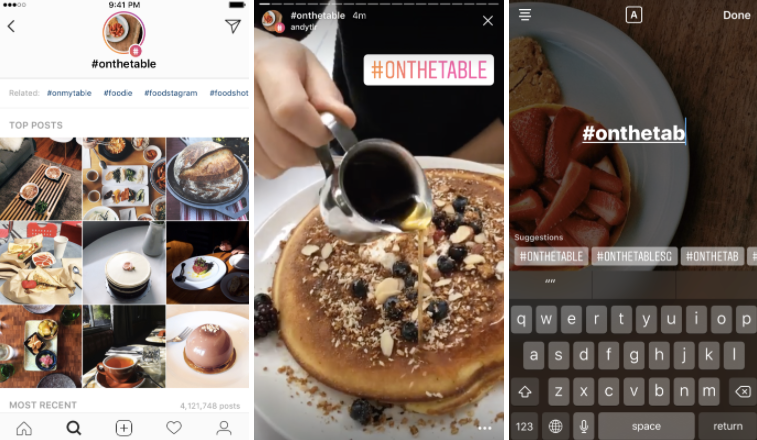 Instagram and Snapchat continue to innovate — and copy each other — to win when it comes to user base and engagement. Instagram Stories have millions more users than Snapchat, but Snapchat has the advantage of entrenchment with millennials. In fact, 35% and 46% of Snapchat users can’t be reached on Facebook or Instagram, respectively. Snapchat versus Instagram isn’t all that’s new in the social media world this month. The list isn’t exhaustive, but you can expect to learn the major highlights — what was launched, what changed, and what these stories could mean for marketers. 1) Snapchat launched new features. 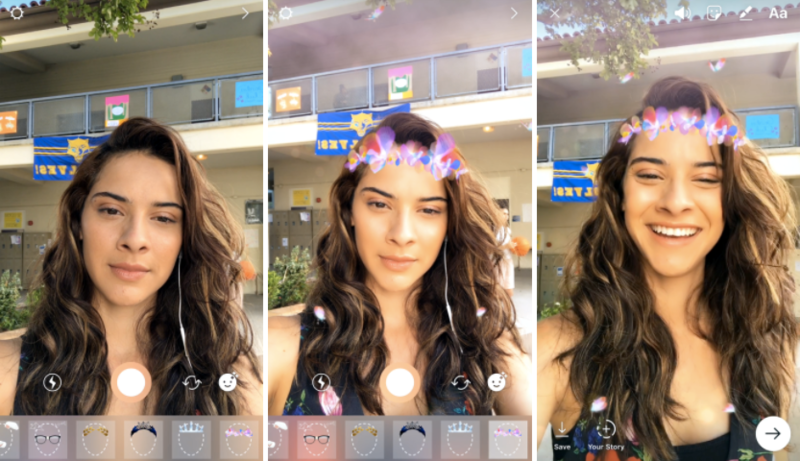 Sponsored world lenses: Last month, Snapchat launched World Lenses, which let users add augmented reality (AR) elements to their Snaps. Now, brands can get in on the action by buying AR ads users can get creative with. Adweek notes Warner Brothers, Dunkin’ Donuts, and Netflix are the first brands to purchase these elements, so keep an eye out for them in your app. Now that Snapchat is part of a company in fierce competition with much larger social media apps, it’s doing all it can to be at the cutting-edge of innovation to keep users engaged on the app. There’s no telling when, but we can be almost completely assured a version of these new capabilities will be rolled out on Instagram soon. 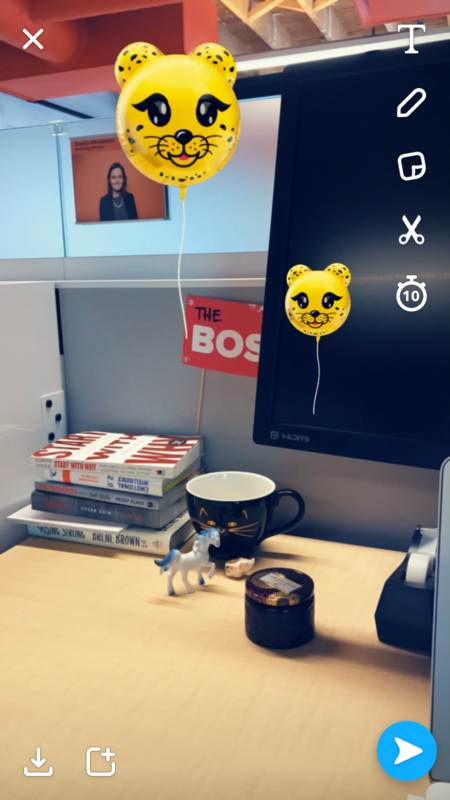 2) Snapchat launched Instagram-inspired features. Looping videos: Inspired by Instagram’s Boomerang, Snapchat now lets users create looping videos that play infinitely — instead of expiring and needing to be replayed after the maximum length of 10 seconds. The sender has to make this option available when editing a Snap, and if it’s enabled, the viewer doesn’t send a notification they’ve replayed a Snap. Self-serve ads manager: This isn’t strictly Instagram-inspired, but the rollout of a self-serve Snapchat ads manager is a nod to its desire to maintain and grow its user base among smaller brands, too. This will make it easier for brands without the budget of Coca-Cola or Walmart to advertise on Snapchat — and without having to go through a sales team to do it. 3) Snap Inc. hosted its first earnings call as a public company. Snap Inc. raised $3.4 billion last quarter. That’s the largest social media IPO since Twitter’s back in November 2013. Snap Inc. experienced slowed daily active user (DAU) growth. DAUs are growing 36% year over year, but Snapchat added only 8 million more DAUs in its first quarter as a public company — missing analysts’ target growth of 9-10 million users. User growth is highly concentrated in North America and Europe, which will make it tough to grow at the pace needed to keep up with the competition. Snap Inc. invested heavily in research and development, and increased its engineer headcount by 260%. This further reinforces our previous notes about the competition heating up — facing increased pressure from Instagram and Facebook, Snapchat is trying to innovate and create new things as quickly as possible. Revenue decreased and losses increased — making its path to profitability even longer. Snap Inc. is spending so much on R&D, and the ads business is in still in such a nascent stage, that analysts don’t predict Snap’s profitability anytime soon. TL;DR: Snap Inc. is growing slower than anticipated. It’s responding to increased competition by hiring like crazy to innovate and roll out new, differentiating features, but it will need to expand worldwide to keep growing its user base. 4) Instagram launched a new feature. Archive option: Users are starting to archive Instagram posts — instead of deleting altogether. For whatever reason, if you want to hide a post from view, you can now archive it, where you can view it privately or restore it to your feed if you change your mind. This change hasn’t been rolled out to my app yet, so it’s safe to say it’s still in a testing phase, but stay tuned. 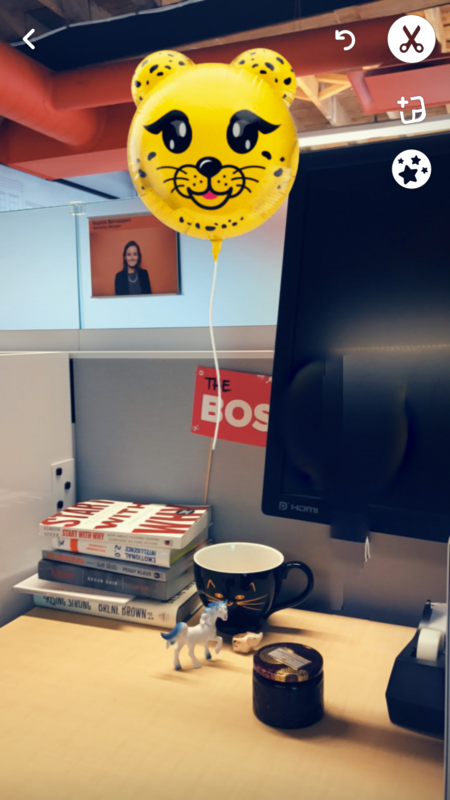 5) Instagram launched Snapchat-inspired features. With these two changes in place, there isn’t much left that’s proprietarily different about Snapchat over Instagram, so it might start coming down to user preference. Instagram has been advertising on the platform longer than Snapchat — plus, verified brands can add links to posts on Instagram Stories — which might continue the wave of brands and publishers that are choosing Instagram for their ephemeral messaging needs. 6) Facebook updated the News Feed algorithm. Facebook will further downgrade publishers that publish clickbait headlines. The algorithm will now start downgrading posts based on individual instances of clickbait and based on a Page’s past history of being clickbaity (if that’s a word yet). Additionally, posts will be downgraded in the News Feed if the headline overexaggerates the content in the link itself — a nuance that signals a deepened commitment to its position as a news site. Facebook will downgrade links to sites that provide a low-quality experience or are inundated with disruptive ads. This means pages that post links to sites that offer “little substantive content” or disruptive, “malicious” ads will be downgraded in the News Feed and may be ineligible to be promoted on Facebook. TL;DR: Don’t publish clickbait and don’t link to low-quality sites when you post for your brand on Facebook for maximum reach and exposure in the News Feed. 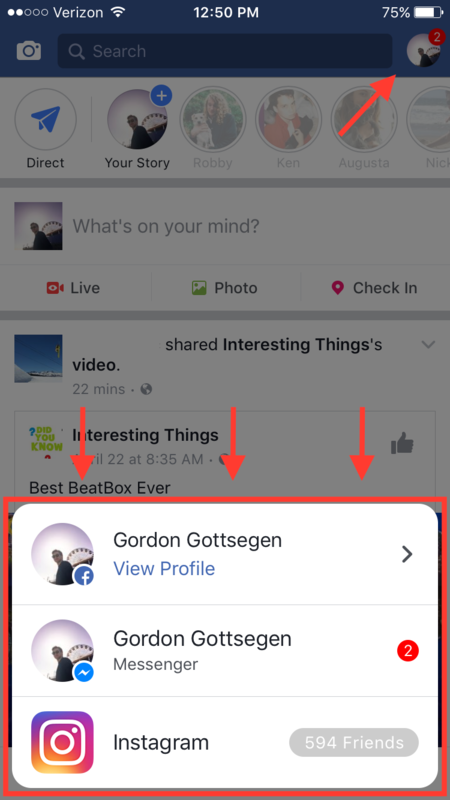 7) Facebook is testing joint notifications across Facebook, Messenger, and Instagram. 8) Facebook Live launches — now with friends. 9) Facebook inked a deal with Major League Baseball to livestream games. Facebook made a deal with Major League Baseball (MLB) to livestream 20 free games this summer — roughly one per week. This is a clear nod to Twitter’s dominance in livestreaming — the app broadcasts pro football, hockey, baseball, and basketball games, as well as live news coverage that attracts millions of viewers. You can watch the live stream of the first MLB game on Facebook here. 10) Facebook announced it will hire 3,000 Facebook Live monitors. In response to growing backlash against the lack of oversight over Facebook Live videos depicting violent crimes, Facebook announced it would start the process of hiring 3,000 people specifically to monitor live video content. In a Facebook post, CEO and co-founder Mark Zuckerberg said monitors will serve to get people help if they need it and remove offensive content from the platform. It’s unclear how effective these monitors will be — and Facebook certainly can’t prevent violence in the first place — but Zuckerberg cited the fast prevention of a suicide mentioned on a live broadcast, so we’re cautiously optimistic this will decrease violent incidents on the platform. 11) #NuggsforCarter set a new record for the most retweets ever. It started as an innocent question — Carter Wilkerson wanted to know how many retweets would be a high enough achievement to earn a lifetime supply of free chicken nuggets from Wendy’s. When the Wendy’s social media team gave him a number, Wilkerson made it his mission. And although he hasn’t hit 18 million retweets yet, he hit another milestone: This month, his tweet dethroned comedian Ellen Degeneres’ infamous Oscar selfie to become the most retweeted ever on Twitter. 12) Co-founder Biz Stone returned to Twitter. After selling visual search engine Jelly to Pinterest earlier this year, Twitter co-founder Biz Stone announced in a Medium post that he was returning to Twitter to focus on company culture, team morale, and people operations. Twitter has experienced a lot of executive turnover in recent years — in addition to intense scrutiny over abuse and dissemination of fake news on the platform — so a morale boost is coming at a good time for Twitter. 13) Rihanna and Lupita Nyong’o inked a movie deal — based on a tweet. This news might be the best of all, depending on your music and film tastes: Hollywood might see its first film that originated thanks to a simple tweet. Actress Lupita Nyong’o and musician Rihanna were spotted sitting together at a Paris Fashion Week runway, and someone tweeted a photo of them that spawned into a discussion — looping in director Ava Duvernay — of creating a heist movie together. No word yet on when this inevitable blockbuster is coming out, but Netflix bought the rights to it — making it what might possibly be the most 2017 movie of all time.